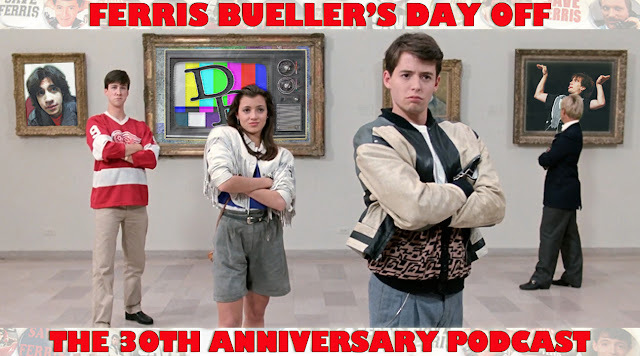 Podcast Episode 136: The 30th Anniversary of Ferris Bueller's Day Off! In this week's special episode David and John discuss and break down the 1986 classic film Ferris Bueller's Day Off in celebration of the film's 30th anniversary. Besides from breaking down the movie scene by scene, we look at the film's legacy, development, and track how much money Ferris spent on his day off. Ferris Bueller's Day Off was released in 1986 by Paramount Pictures and stars Matthew Broderick, Mia Sara, Alan Ruck, Jeffrey Jones and Jennifer Grey. 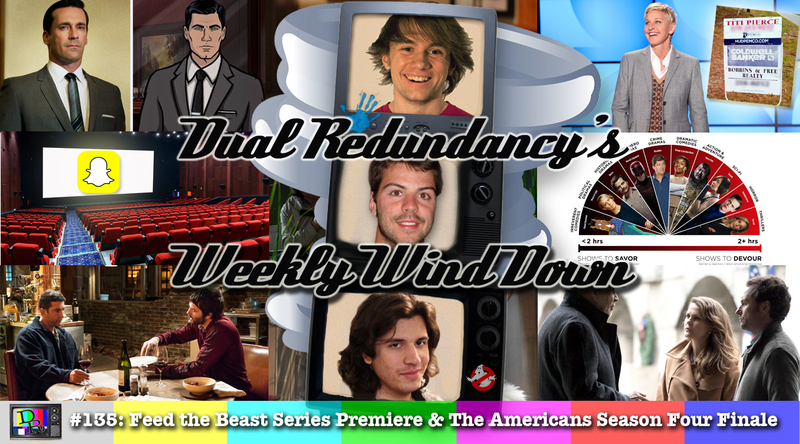 To listen to this episode in a higher quality head over to our YouTube channel. There you can also listen to our Ghostbusters and Back to the Future movie podcasts. In this week's episode Dave, John and Kyle discuss why a real estate agent is suing Ellen DeGeneres (1:55), a Snapchat movie (9:35), a possible live-action Archer movie (15:50) and what are Netflix’s most binged shows (22:10). We also review the first two episodes of Feed the Beast entitled “Pilot Light” and “Father of the Year” (30:45). Finally, we review The Americans’ season four including the finale “Persona Non Grata” (45:25).